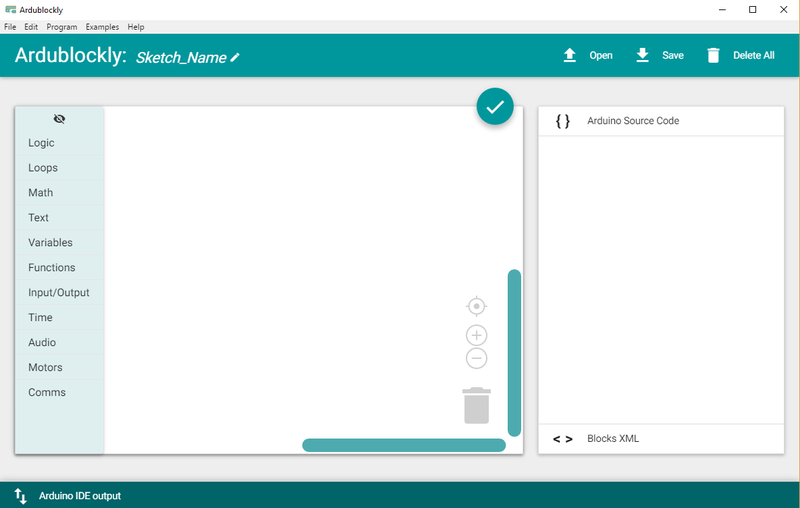 Ardublockly is a visual programming language that is based on Google’s Blockly. Being a visual programming language you don’t need to worry about remembering syntaxes or missing semicolons. 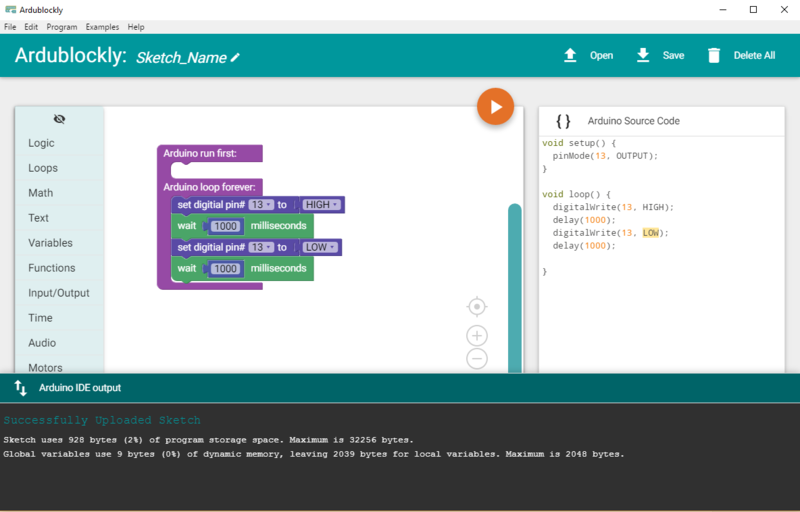 The Arduino code is generated when the blocks are connected to perform an action. Ardublockly also displays the actual C code that is being uploaded making it easier to understand what goes on in the background. 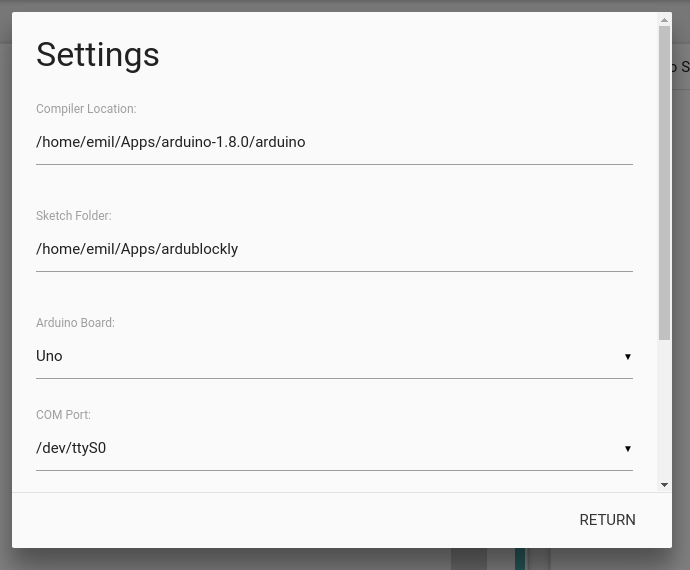 Get the latest version of Ardublockly from its github page. Do ensure that you have the latest Arduino IDE installed as well, check the Arduino guide for more info on how to install Arduino. 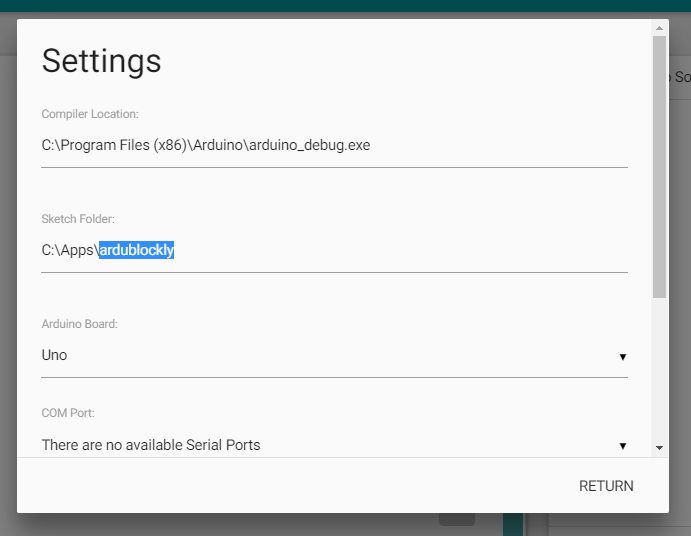 Extract Ardublockly – Once you have downloaded the latest version of Ardublockly, extract it to a location of your choosing. 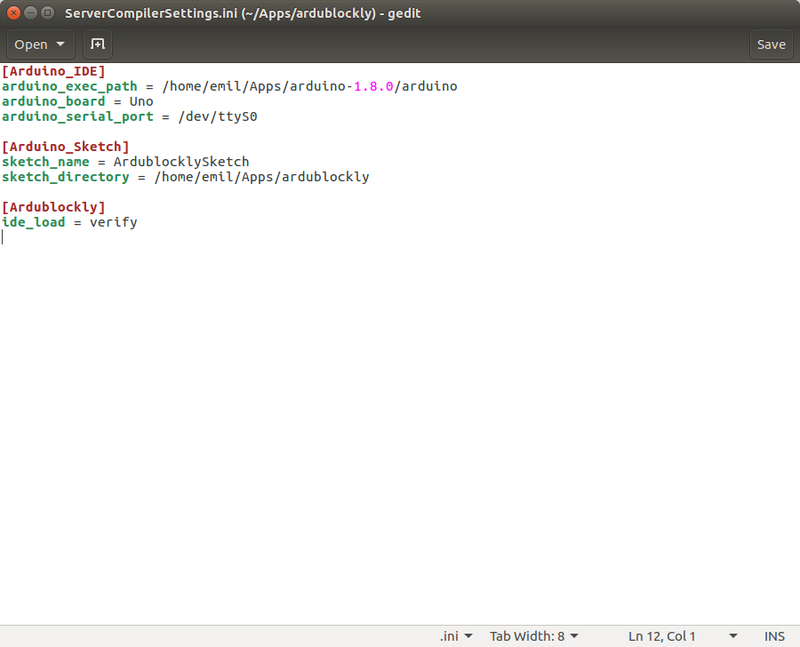 Run Ardublockly – In the Ardublockly folder run the ardublockly_run.bat. This will run Ardublockly and create the ServerCompilerSettings.ini file that we need to modify to get Ardublockly working. Once Ardublockly has successfully started you should see the Ardublockly homescreen. Select Board & Port – Next select the board that is being used, in our case it is the UNO. The available serial port will be shown only if the Arduino is connected. 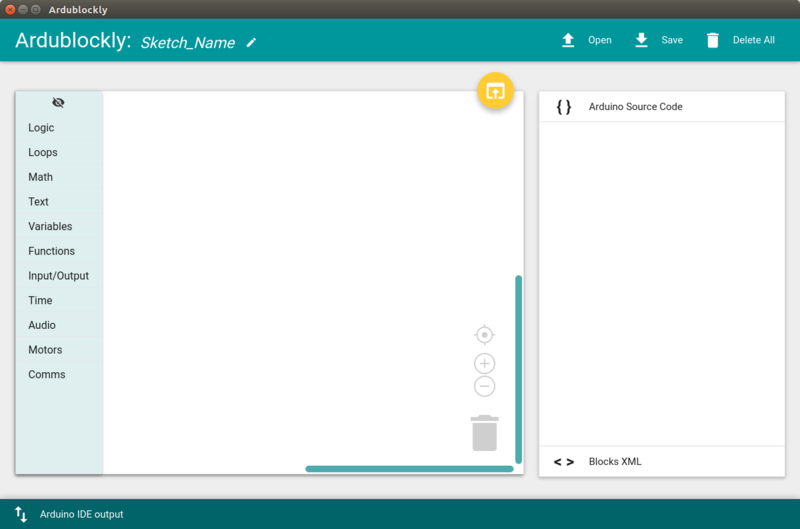 If all goes well the Successfully Verified Sketch will be displayed, this may take 20-30 seconds on some machines. 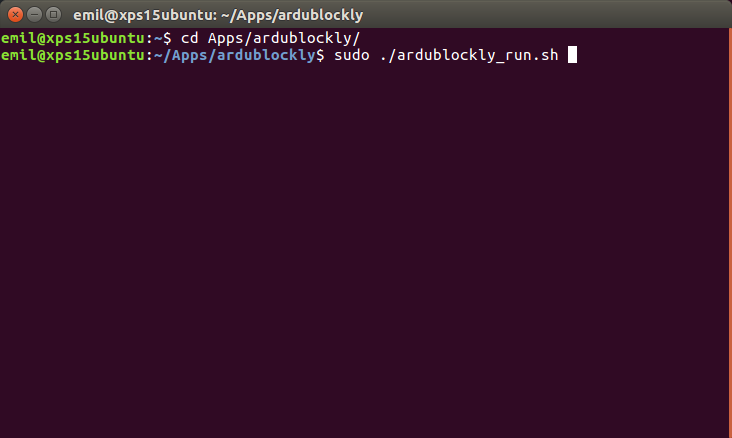 Run Ardublockly – In the Ardublockly folder run the ardublockly_run.sh as root file from terminal. This will run Ardublockly and create the ServerCompilerSettings.ini file that we need to modify to get Ardublockly working. Once Ardublockly has successfully started you should see the Ardublockly homescreen. This block lets define what instructions need to be run first and what needs to run forever. Most instructions will come under the latter. The on board LED is connected to pin 13, set the pin# to 13 to be able to turn ON the LED. Next comes the delay this will ensure that the pin stays in the HIGH (ON) state for a set period of time. This can be found under the Time category. The time is set in milliseconds, 1 second = 1000 milliseconds. These 2 steps needs to be repeated again but in the LOW state to turn off the LED. The final code will be as follows. Click the upload button to push the code to the Arduino. If all goes well, the LED should start blinking now. ..can you explain that for me .